Dear Readers: After nearly 11 years, I've decided to lovingly say goodbye to CakeSpy. Note: I had a few friends create these illustrations, inspired by CakeSpy and me over the years. Thank you Caleigh, Sam, Jenna, Kate, and Susan! A big out-loud thank you to YOU, if you're reading this right now...or a silent thank you that you might not even know about, sent out into the universe to every single person who has ever ever read this site at any point over the past ten and slightly more than a half years. If at any point in those years you have clicked over to this site, you have been part of its story. If you've purchased my art or one of my books, you've been part of my modest yet (to me) amazing success. For that, simple words of thanks are hardly sufficient. But I want you to know that I am truly thankful from the deepest and most tender parts of my heart. 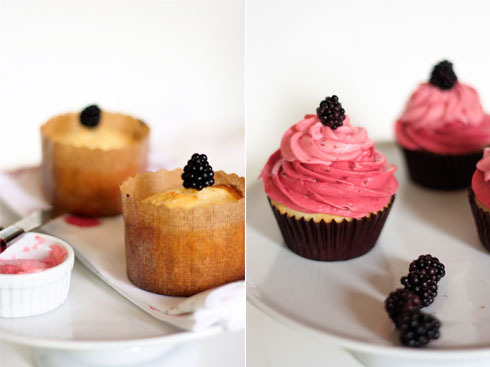 I mean, who the hell am I to have blogged about cake for 11 years? Nobody. It's you who made me somebody, dear readers and friends. And I love you for it, and always will. 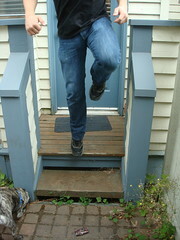 Nearly eleven years ago, I lived in Seattle. I had just gotten married. I lived in a cool little apartment in Queen Anne, near the Space Needle. I was also sub-clinical anorexic (more on that in a minute). I worked at a greeting card company, where I was the product manager/art director of the refrigerator magnet division. Having reached a point where I couldn't advance much further in that career, I decided to start my own company. I was reading a creative-inspirational book called The Purple Cow at the time, from which I got the idea that rather than starting a company that I thought made sense, I should design a company aligned with my interests. I remember taking a half-day off of work and taking a walk to the Olympic Sculpture Park, where I sat down by a big ampersand sculpture, and having a mini meeting with myself wherein I thought "Well, Jessie, what would your ideal company include?" Not to sound creepy, but it's like some godly voice simply spoke these words out loud to me, they were so clear. The former two, writing and illustrating, made perfect sense. Though never trained as a writer, I've always been a natural writer. At the time, I had recently begun my first freelance writing assignment, for a now-defunct yet pioneering website called DailyCandy. Art-wise, I had studied illustration in college, and art has always been an important part of my soul. Baked goods were the odd man out, because honestly, at the time I didn't even know how to bake. I knew that I thought about baked goods a lot though, and that even in my most restrictive eating days, I would reserve calories for sweets above anything else. It would not be unusual, for instance, for me to eat a cupcake as my main meal of the day and then eat basically as little else as possible to remain alive. I didn't know how on earth writing, illustrating, and baked goods could possibly form a business, so I decided to start a blog so I could figure it out. That's when the magic started happening. I decided on the name CakeSpy because it sounded a little mysterious, but also not super specific. Like, it gave me room to explore baked goods but also room to grow, unlike if I called the website "Jessie Loves Cupcakes" or something. Now, to give you a little context, the blogging world was way different in 2007. Basically, every food blogger knew each other. That's an exaggeration, but really not by much. Our photos basically all sucked, and our content wasn't super polished. Search optimization? Never heard of it. Sponsored posts? Never even entered my mind. But there was this kind of raw energy to blogging in these pioneering days. It was exciting. It wasn't unusual for me to stay up until 3am working on posts, simply because I was just so EXCITED about creating things. People would walk by my apartment building in Queen Anne at night and say that they saw me through the big picture window, on my computer, well into the night, when they were walking home from the bar. As a blogger, you were like a producer, writer, and director. You were making things happen. In not too much time at all, CakeSpy began to take off. It wasn't quite like any other blog. I had a unique voice, I had illustrations, I had a funny way of approaching things. I began to be noticed. I was featured on Serious Eats, which was a huge deal; I began to be noticed by local press. I was becoming Known. Meantime, in my personal life, I was still struggling with disordered eating. 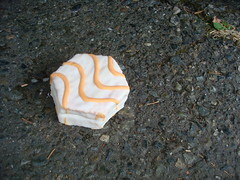 I believe that CakeSpy was also pivotal in my recovery. As I began to explore baking and working with food, I began to lose my fear of eating, and I began to embrace food (and life) a little bit more. 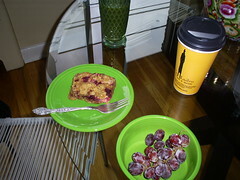 In retrospect, I think of the commencement of CakeSpy as phase one of my recovery. I began to believe in myself and my abilities more. I kept on gaining exposure and doing things with my site. To tell you the truth, I became kind of an internet celeb for a while. I took over an art gallery in Seattle for a time (remember CakeSpy Shop?). I got a book deal. Then I got another book deal. In my personal life, I still struggled in various ways. I got divorced and decided to close the store I'd co-owned with my husband. That was a pivotal time in my life; unfortunately I suffered from a big eating disorder relapse. I moved to Philadelphia to be closer to my family and to try to heal. After a year in Philadelphia, as I began to emerge from my relapse, I moved to Santa Fe with a new partner. It was supposed to be for a few months but ended up being a few years. During that time, I really got into yoga, which I credit as a big part of commencing my true and earnest eating disorder recovery. It was during this time that I "came out" as a disordered eater on this website. All the while, I kept on keeping on with CakeSpy. I ended up going to Asheville to do a yoga teacher training, and liked it so much that I went back to live there for a while. And still, I kept on being CakeSpy. My journey with CakeSpy has come to an end. As you can see by reading the above, I have gone through some monumental changes in life throughout the time that I have operated CakeSpy. Simply put, as I continue to navigate life, love, and recovery, CakeSpy no longer feels like the most authentic expression of who I am. It is no longer aligned with my mentality toward recovery, nutrition, or lifestyle. I truly believe that while when I started CakeSpy it helped me take my first steps toward eating disorder recovery; however, now, to continue my journey, I must lovingly let it go. I will always love CakeSpy, and I am alternately awed, thankful, surprised, and humbled by the wonderful things that have happened here. But now, it's time to move on to other things. 2. 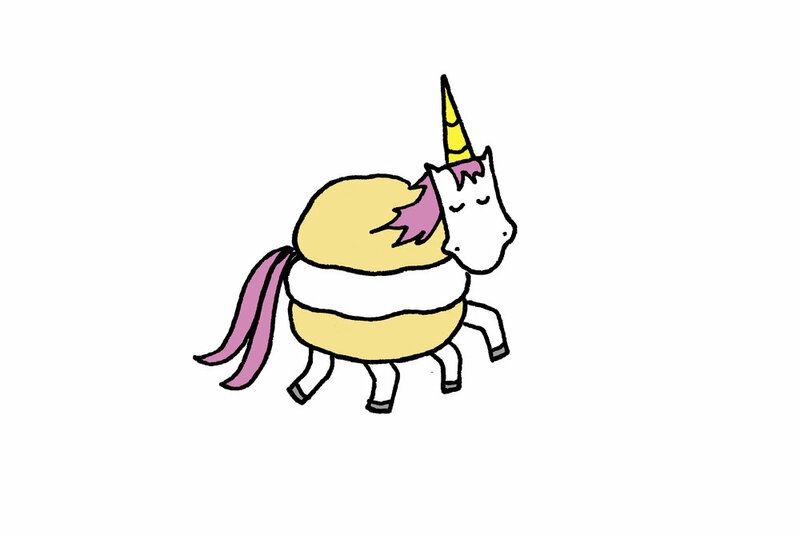 Early next week, I'm going to switch the main focus of this site to an expanded format for Unicorn Love, which is currently my eating disorder section of the site. I am going to adapt the content and see how it goes, incorporating more art and life writing. Next week, I will also expand on the changes in my life, eating, and more of the reasons why I am making this shift, if you're interested. 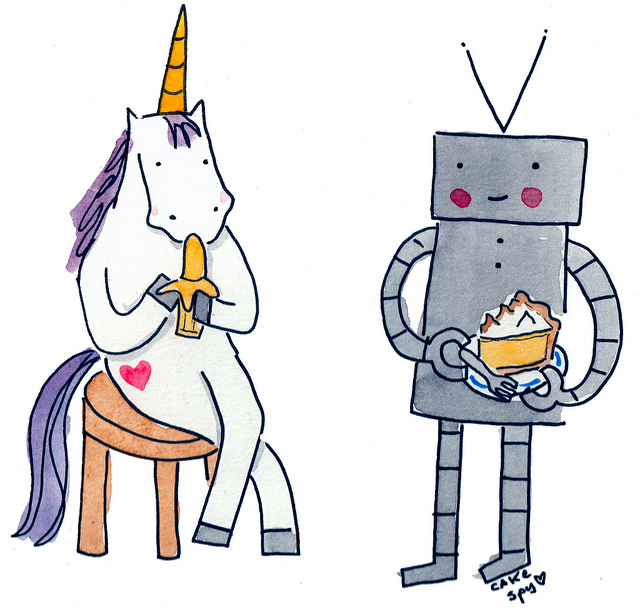 So, the idea is that if you come to this site in the future, you'll see a site called Unicorn Love, which will have the CakeSpy archives still accessible. 3. I'm going to switch my social media pages over to Unicorn Love as well (or I may create new ones, let's see how it goes with all that). Well, my friends, it's been realer than real. Thank you so much for being part of the CakeSpy story. I love you so much. Well, hello friends. 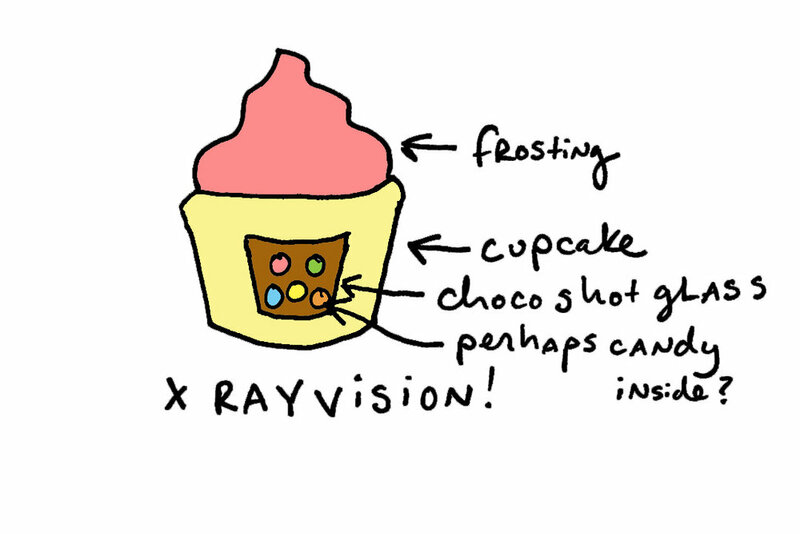 Here are some happy things involving pink, sprinkles, sometimes both. Note: Here's a post from many years ago, near the start of CakeSpy, that I really thought was worth revisiting. Enjoy! 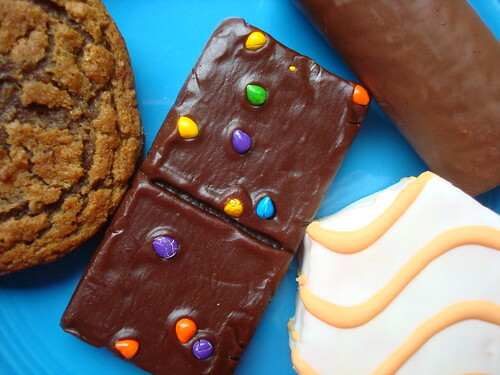 Have you ever stopped to wonder why certain baked goods are popular in your area? This is a book by Judith Ryan Hendricks, which I picked up at random at the library last year. Turns out, the novel, which is about a thirty-something woman who is finding herself as a breadmaker after a nasty divorce (which is actually the sequel to the writer's previous novel, Bread Alone) is set in Seattle, and fictional as it may be, the "Queen Street Bakery" featured in the book is inspired by an actual bakery (the McGraw Street Bakery--now Macrina Bakery). But even more than this fact, what caught our attention was one pastry in particular in the book, which turns out to be real as well: the Mazurka Bar. 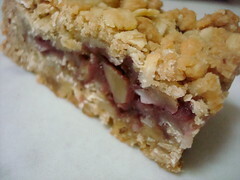 "locally world famous--a killer combination of thin, flaky crust, then your choice of lemon, chocolat-espresso, apple-raisin, or raspberry filling, and on the top the crumble layer with its habit-forming, sandy crunch". Reading this, we got a shiver of excitement. 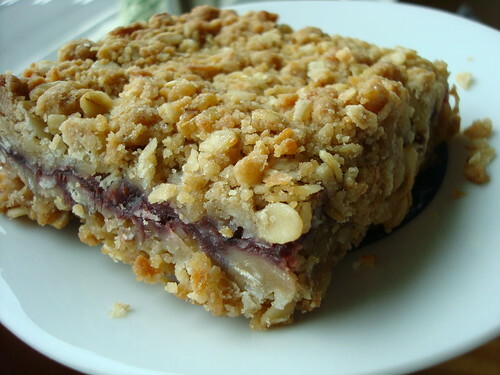 We had noticed the proliferation of this fruit-and-oat cookie bar format in the Seattle area--though known by several different names, nearly every coffee shop or bakery in the area has some variation (several are pictured throughout this writeup). 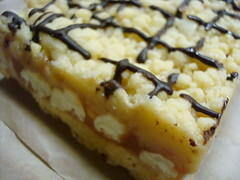 Could this mysterious Mazurka hold the key to this particular bar cookie's popularity in Seattle? The path to Mazurka monopoly began in 1983, when Jessica Reisman moved to back to Seattle (she had previously lived in the city in the 70's, but had moved around a bit in between) and helped start up Rainbow Foods, a business which has evolved but still exists on Capitol Hill. At the same time, she began making the bars, which were based on Maida Heatter's recipe for Polish Wedding Cakes (in Heatter's description in her cookbook, she notes that they are also sometimes known as Mazurkas). At first the operation was skirting the line of legality--she was making them in her own apartment, and selling them from the back of her car at various festivals and street fairs. Popularity caught on though, and soon enough she was baking from a commercial space in Ballard, where she made enormous batches of Mazurkas which were then sold to wholesale accounts. 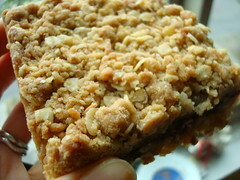 In retrospect, this was a pivotal time for the Mazurka, and it can be argued as a case of being in the right place at the right time: as a hearty, dense, oaty treat, it appealed to Seattle's outdoor sensibilities--it was the perfect accompaniment for long hikes or mountain climbs, and homey enough for the most gloomy and drizzly days. Timewise, it couldn't have come along at a better time: the Mazurka became a popular wholesale item just as the espresso cart revolution was getting started in Seattle--since new operations would look at the offerings that the existing ones had, the Mazurka just became part of the coffee shop parcel. It was at the commercial baking space where Jessica met Nancy Mattheiss, who ran a custom cakes business--though their paths took a few loops and turns, a few years later they paired up again, adding a third partner Sue Fenoglio, to open the Mcgraw Street Bakery, where the Mazurka was a consistent bestseller. Macrina Bakery's Queen Anne location. She continued with a wholesale baking business for a couple more years, but eventually sold that too (along with the Mazurka recipe), in favor of returning back East to be closer to her family. She mentions that she thinks the business had since been sold again; though I can't confirm this, I surmise that perhaps it was sold to or absorbed by Great Harvest Bread Company--they are the only retailer in Seattle that sells a fruit and oat bar specifically called the Mazurka Bar, and that seems awfully coincidental. Homespun Foods, in the artistic community of Beacon, New York (about an hour outside of NYC). The Mazurka lives on at Homespun, but is called the Mt. Beacon Bar. Though it is still a popular item, it never quite took off the same way it did in Seattle. Perhaps this is due to the weather; perhaps the culture; perhaps they just have different tastes on the East Coast. It is my belief though, that the Mazurka was in its element in Seattle. It was in the right place at the right time--and even years later, will remain a delicious historical marker of our cultural past. As for the Mazurka's place in Jessica's heart and appetite? Well, let's just say she's been making them a long time. "I never touch mazurkas anymore," she laughs over the phone, "though I do love the way they smell." Seattle Times, about Jessica's Mazurkas! Want to make the Mazurka? These are called Mazurka in Polish. 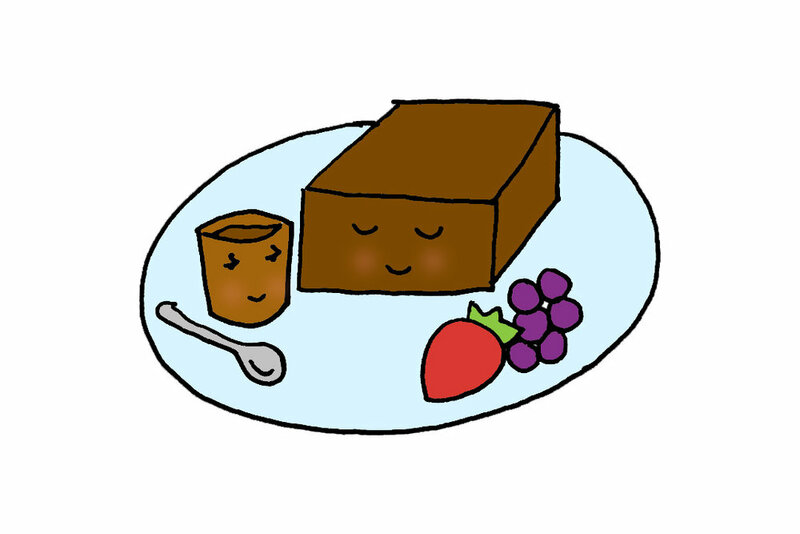 There are many versions, all rich and moist. This one has a crunchy crust and a tart apricot filling. Bring the apricots and the water to a boil, uncovered, in a small, heavy saucepan with a tight cover over high heat. Reduce the heat to low, cover the pan, and simmer until the apricots are very tender, about half an hour, depending on the apricots. The fruit should be very soft and the water should be partially but not completely absorbed. Press the apricots with a potato masher or stir and mash vigorously with a fork. The mixture should be very thick. Add the sugar and stir until it dissolves. Cool to room temperature. If you wish, this filling may be made ahead of time and refrigerated. 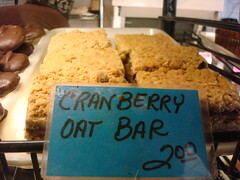 Note: this is not like American pastry. It will resemble a crumb mixture. Adjust an oven rack one-third up from the bottom and preheat oven to 325 degrees. Place the Flour, salt, and sugar in a mixing bowl. With a pastry blender cut in the butter until the mixture resembles coarse meal. Stir in the coconut, oatmeal, and walnuts. 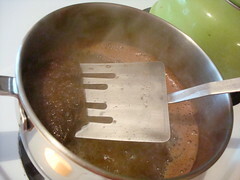 Place half (3 cups) of the mixture in an unbuttered 8-inch-square cake pan. Press it evenly with your fingertips. 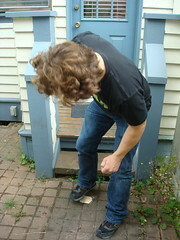 Cover with a piece of wax paper and with the palm of your hand press against the paper to make a smooth, compact layer. Remove the wax paper. Spread the apricot filling smoothly over the pastry, staying 1/4 to 1/2 inch away from the edges. Sprinkle the remaining pastry evenly over the filling and repeat the directions for covering with wax paper and pressing smooth. Remove the wax paper. Bake for 60 to 70 minutes until the top is barely semifirm to the touch. (note: Personally I find that Maida's bake time is long. I prefer more like 25-30). Cool in the pan for 15 minutes or so; be sure to cut around the sides to loosen from the pan before cutting and serving. Thank you to Judith Ryan Hendricks, Jessica Reisman, and Nancy Mattheiss for their help with this story. Buttercream, cos it's better with butter, always! They recently sent me a care package of samples. I really enjoyed these candies; particularly the sweet and salty chocolate dipped pretzel balls! Check them out here. Note: Here's a post from 2009 that really needed to see the light of day again. Enjoy! Oh, Little Debbie. You loyal lunchtime companion, you siren of saccharine sweetness. With you, we've unwrapped so many smiles--and you've never asked for anything in return. 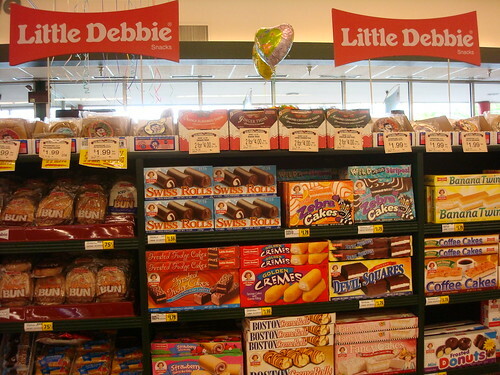 Since the Little Debbie line boasts over 50 varieties of snack cakes, it was elected (for the sake of brevity, and to conserve cash) to choose just four treats that would be representative of some of the major textures and flavors; ultimately, it was narrowed down to the following contenders from their list of bestselling treats: Cosmic Brownies, Oatmeal Creme Pies, Swiss Rolls, and Zebra Cakes. To see which snack cake is truly superior. 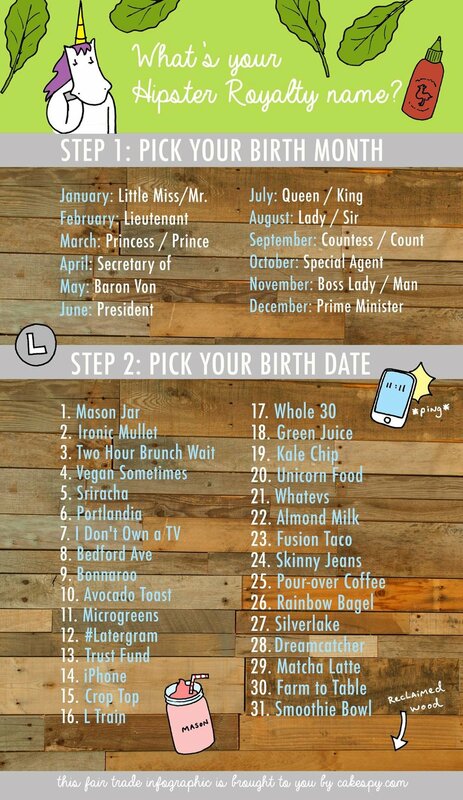 And also, you know, for fun. To see which treat would last the longest when dropped into a pot of boiling water. Dude. This brownie was a survivor--while the icing melted fairly quickly, even after six minutes the cake part was holding strong and still retaining much of its original form. It wasn't until minute seven that it began to fall apart. This little guy never stood a chance. Almost instantly the snack cake began to fall apart when it hit the boiling water; in under thirty seconds, it had completely liquefied, with not even crumbs remaining. These dudes were probably the luckiest of the bunch: since they come in pairs, at least they didn't have to die alone. 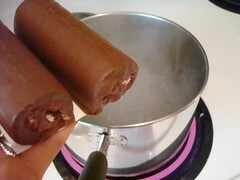 When the rolls hit the boiling water, the chocolate glaze melted almost immediately, with the cream filling following in short order--however, the cake held on for dear life, slowly unraveling and remaining solid (albeit bloated and soft) for a good four and a half minutes before the spongy pieces began to fall apart. The first thing that happened was that this cake seemed to dissect itself: the top icing and middle creme layer began to melt, thus separating the cake layers, which then began to expand in the water. The pieces held steady for nearly five minutes until they began to disintegrate. 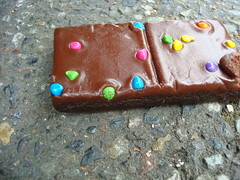 Winner: Cosmic Brownie, which not only lasted longest but also retained the best form. 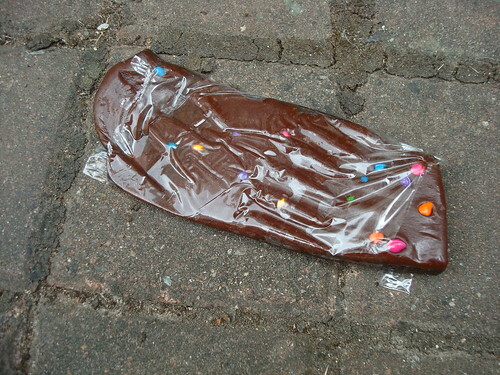 Objective: To see which treat would fare best when run over by a car. 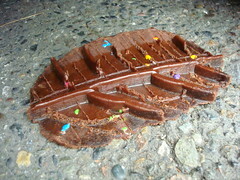 Brownie: Held its form surprisingly well, considering that it was a frosted brownie--no frosting stuck to the car wheel. Perhaps because it was so oily? This one was definitely the most interesting to look at, too. Oatmeal Creme Pie: Like the brownie, this little sandwich cookie fared pretty well, retaining its general makeup and not even losing much filling. 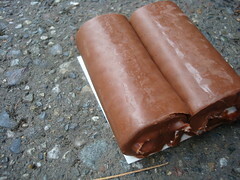 Swiss Roll: Total Goners. 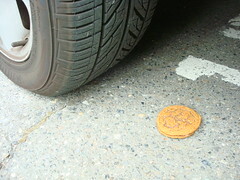 They stuck everywhere: the tire, between the treads, the ground. It was grisly. 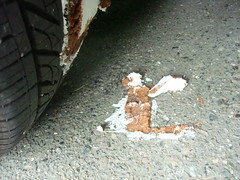 Zebra Cake: Not much better than the Swiss Rolls--it seemed as if this snack cake exploded under the weight of the car. Winner: Oatmeal Creme Pie. While it was a hard decision between this and the brownie, ultimately the fact that the filling was intact made it slightly more appetizing. 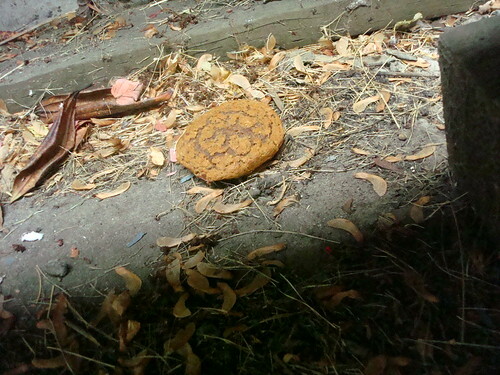 Objective: To see which snack cake would fare best after being dropped from a second-story window. Brownie: After landing on its side, Brownie almost looked normal...but upon closer inspection, had a strange and unnatural twist in its side. Sure, it survived...but it would never be the same. 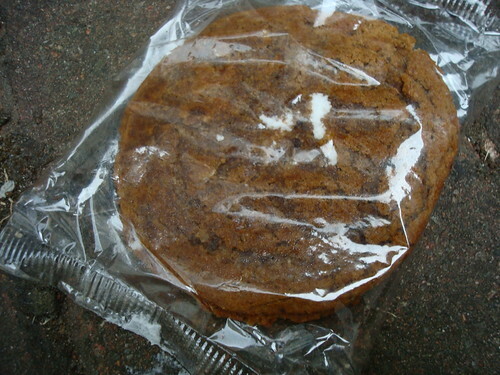 Oatmeal Creme Pie: The cookies acted as a protective buffer, and quite honestly, this one probably just could have been dusted off and given to a friend, and nobody would have been the wiser. Swiss Roll: The roll cracked open at the seam, allowing the sweet cream to ooze out--the equivalent of a confectionery head wound? Zebra Cake: Poor, poor Zebra Cake. 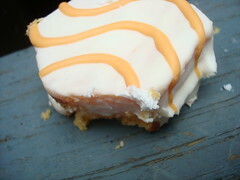 This one fared the worst, hitting a step on the way down and leaving a sad trail of creme filling as it went. 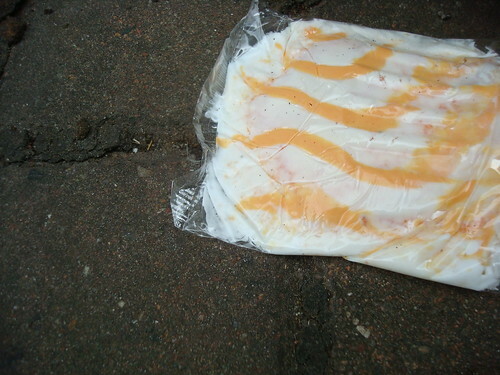 Zebra Cake was so not okay. 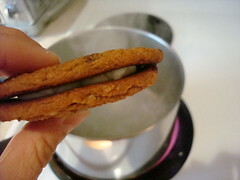 Winner: Oatmeal Creme Pie. It didn't seem to have suffered very much at all, other than collecting some dead leaves and dust. Objective: To see which treat will fare best when jumped on by my friend. Brownie: Not so bad at all. It definitely suffered, but didn't lose its form under the weight of the mighty jump. Oatmeal Creme Pie: Sure, it's only a small bit of creme filling poking out of the top cookie...but who's to say it's not a cookie concussion, bound to claim the cookie's life at any moment? 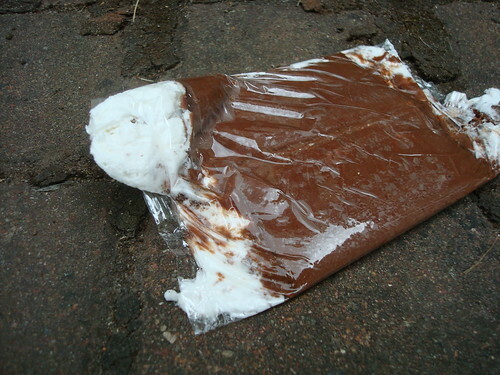 Swiss Roll: Oh, poor swirly treats: the creme that makes them so delicious was also their downfall, popping out at the ends and rendering them limp and a shadow of their former selves. Zebra Cake: Though the form was somewhat intact, the moment the cellophane was lifted, half of the frosting and cake came with it. Another one bites the dust. Winner: Brownie. 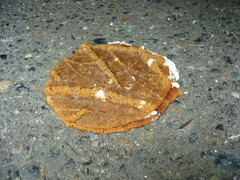 It was close, but ultimately the Oatmeal Creme Pie looked like it might not survive. Which Snack Takes the Cake? 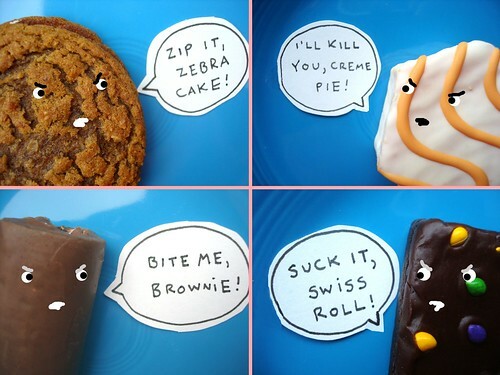 Looks like it's a tie between the Oatmeal Creme Pie and the Brownie--but if you want a sweet survivor, stay away from the the iced snack cakes--they're total softies. 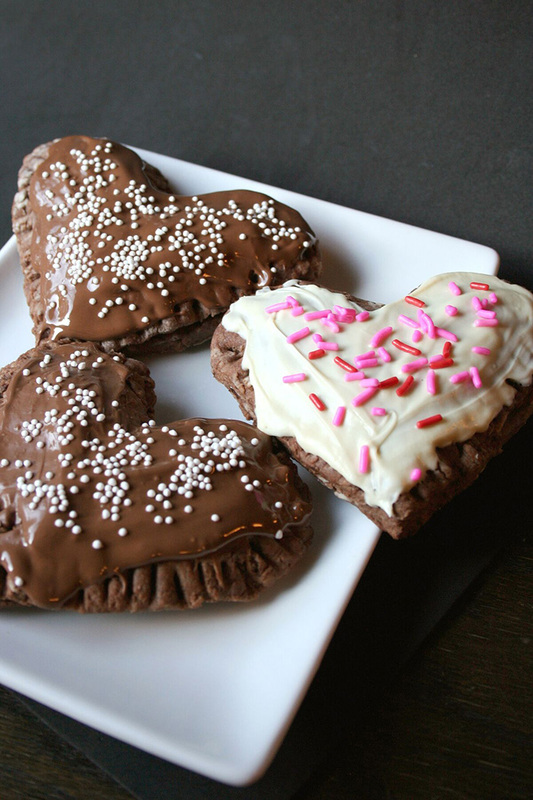 Overall, these Little Debbie treats are hardier than you might think: they're willing and able to withstand all sorts of hardship and will generally remain surprisingly edible. Of course, whether this information is comforting or horrifying is up to you. Naysayers may express horror at the health implications of ingesting foods that won't die. But isn't it much nicer to think that if you grew up eating them, you might have absorbed some of these sweet super powers? 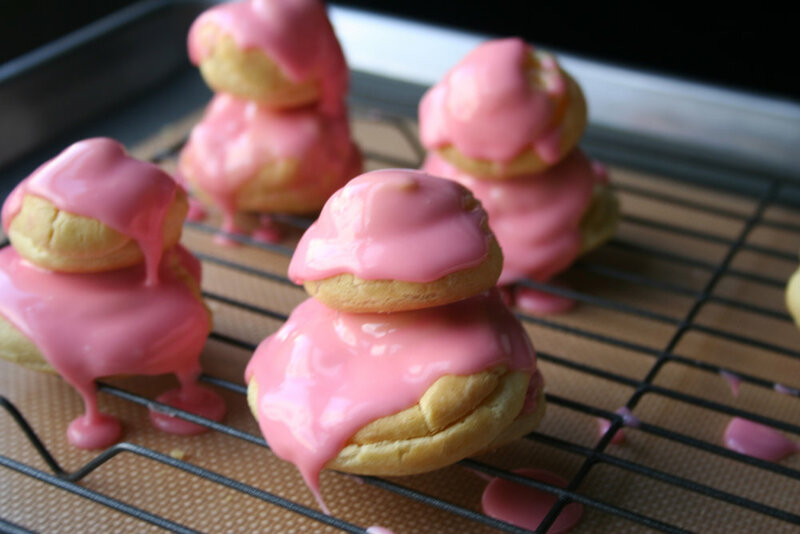 Looking for a buttercream that's pretty and pink and delicious? It's your lucky day: I've come up with a tasty strawberry buttercream recipe for Craftsy. It's easy to make, and full of natural strawberry flavor. I really hope you love it! Just some favorite posts from over the years. Can you ship yourself an ice cream cone? Find out here. 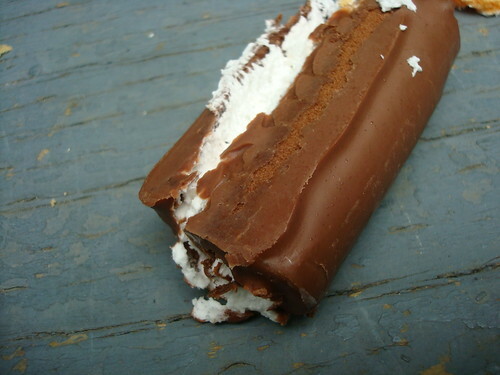 Little Debbie Death Match!! One of my all time favorites. 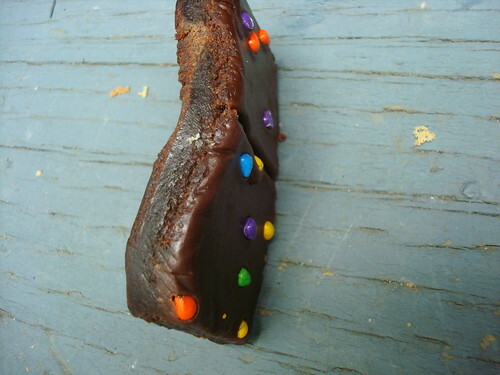 Chocolate dipped pop-tarts. So visually striking. Why aren't we all eating everything out of chocolate bowls? I mean it. A comprehensive chocolate chip cookie timeline. 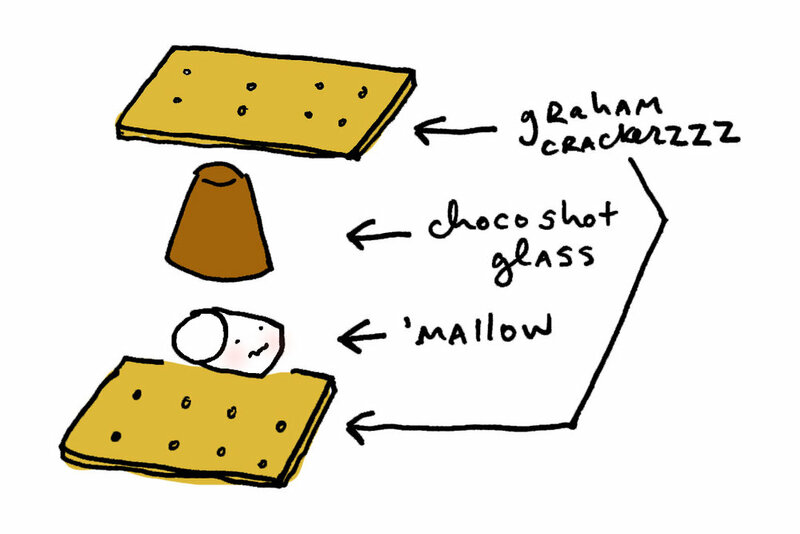 The ultimate guide to pudding. What happens when you boil cake batter? What happens when you bake a batch of frosting into a cake? Dear Postal Service: will you crush my cookies for me? Speaking of the ice cream maker...what happens when you put whipped cream in it? Free Unicorn Coloring Book Page! Happy Monday! 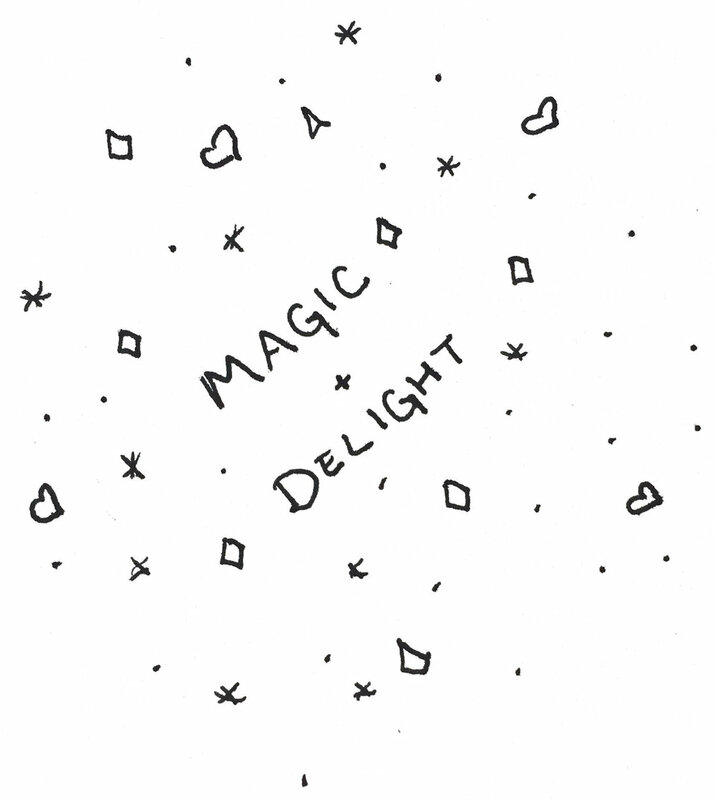 Today, I'd like to offer you a sweet little freebie: a FREE Unicorn Coloring Book Page! If I did this correctly, you can click below and be guided to my Google Drive page to download it for free. Of course, if you love it, you may also adore my published coloring books, which are both available for purchase on Amazon: The Unicorn Coloring Book, and Another Unicorn Coloring Book. Links below too! 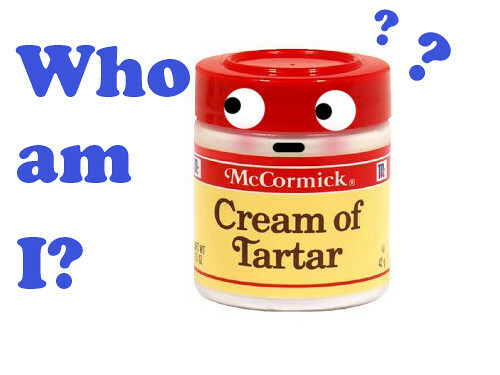 This week, it's IBT: Interesting Butter Things. Book of the week: Speaking of butter...have you purchased my buttercream-filled coloring book, The Cupcake Coloring Book, yet? Hi buddies! This recipe was originally published in 2009 on this site; it's so good that it's worth revisiting. In case it's been a while, or if you have never seen this one before...enjoy! CakeSpy note: since these headnotes were written years ago, obviously a bit out of date. But honestly, that's part of the fun: revisiting the past and reflecting on how many things have changed! From Natalie: Hi, my name is Natalie, from Pâtisserie Natalie. 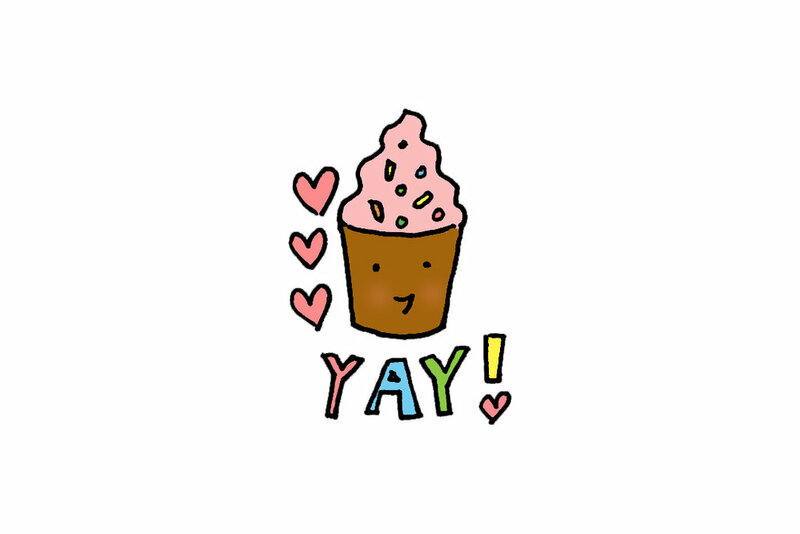 I'm so excited to get to do a guest post for CakeSpy; I've been a fan for a long time. I'm a high school student from Seattle who loves photography, food styling, and baking. I've been interested in the arts since I was really little, and found my real calling through blogging. I didn't discover the food blogging world until recently. I also didn't realize how much I would love it. My blog gives me a way to share my design and creative flow with other people, as well as see other artist's work. I started baking more seriously about 2 years ago, but it is now an addiction. Ask anyone who knows me and they will tell you I am more frequently in the kitchen then not. I absolutely cannot stay away from my kitchen aid mixer and my camera. I am self-taught in html/css coding, and do all my own graphics and layout work for my blog (CS Note: she's interested in pursuing a career in web/graphic design and photography). Sift together the flour, salt, baking powder, and baking soda. Whisk together in a large bowl thoroughly, and set aside. In a stand mixer, beat butter and sugar until smooth. In a medium bowl, stir together yogurt, lemon zest, and lemon juice. 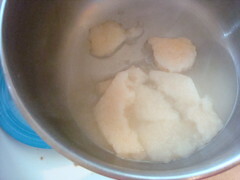 Add the eggs to the butter and sugar one at a time, beating in between each addition. 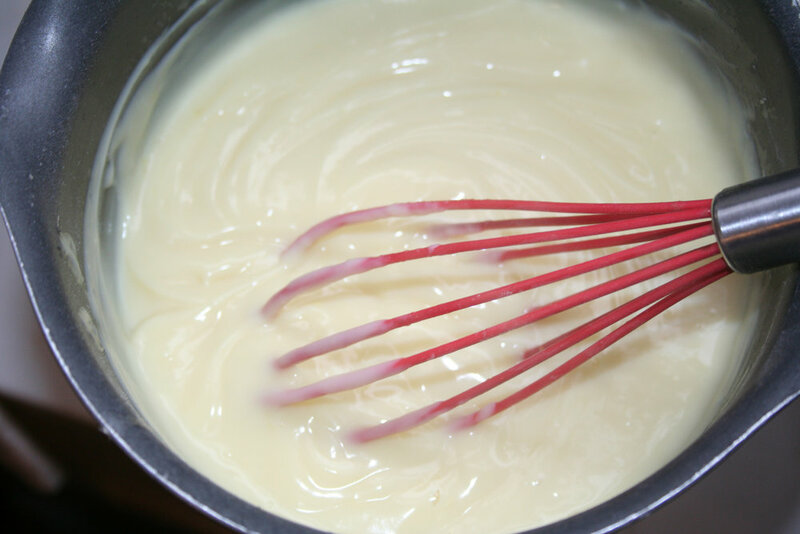 With the mixer on a low speed, add the flour mixture in 3 parts, alternating with the yogurt mixture in 2 parts. Start and end with the flour mixture. Line a muffin pan with paper liners and scoop even amounts of the batter into the cups, filling almost to the top. Bake for 16 minutes, rotating the pan after 8 minutes. 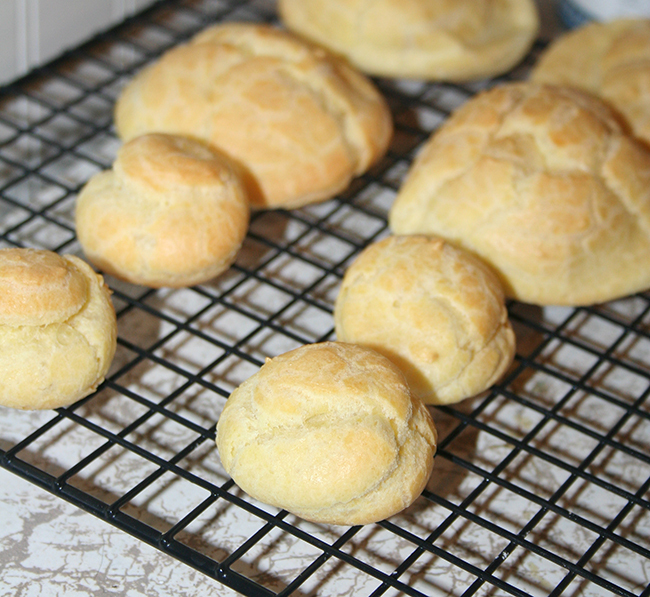 Once golden brown around the edges, remove from oven and place on a cooling rack for at least 2 hours before icing. Beat butter and 1 cup of powdered sugar until smooth. Divide into two parts, removing half from the mixer bowl. Add the blackberry sauce to the mixer bowl, along with 3/4 cup of powdered sugar. 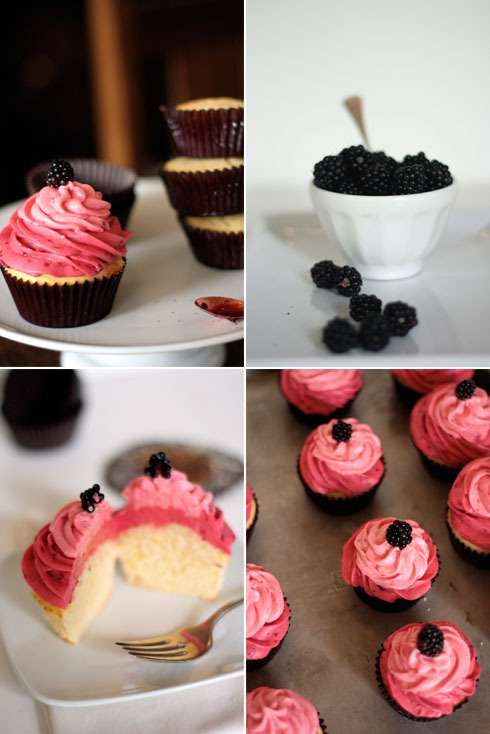 Place buttercream in a piping bag and pipe a circle around the outer edge of the cupcake top, spiraling in towards the center. In the same mixer bowl, add the remaining half of the butter and powdered sugar that was set aside. Add the raspberry sauce and 3/4 cup powdered sugar and beat until smooth. 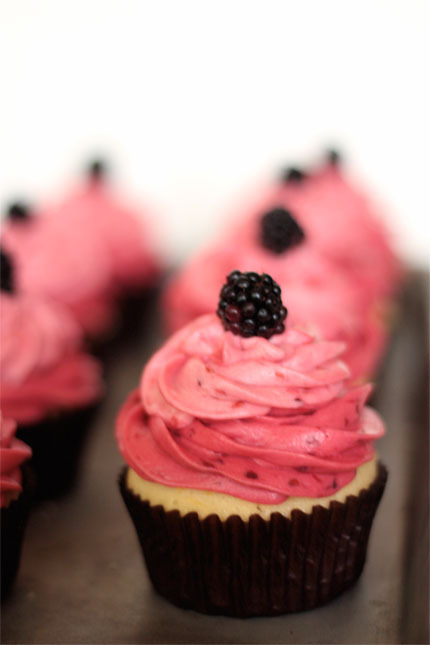 Place in a piping bag and pipe an extra dollop on top of the blackberry buttercream. Combine ingredients in a sauce pan and place over medium heat. Stir frequently until juices from berries boil. Using a wooden spoon, crush the berries in the pan. 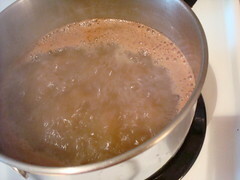 Let boil for 2 minutes to make sauce more dense. 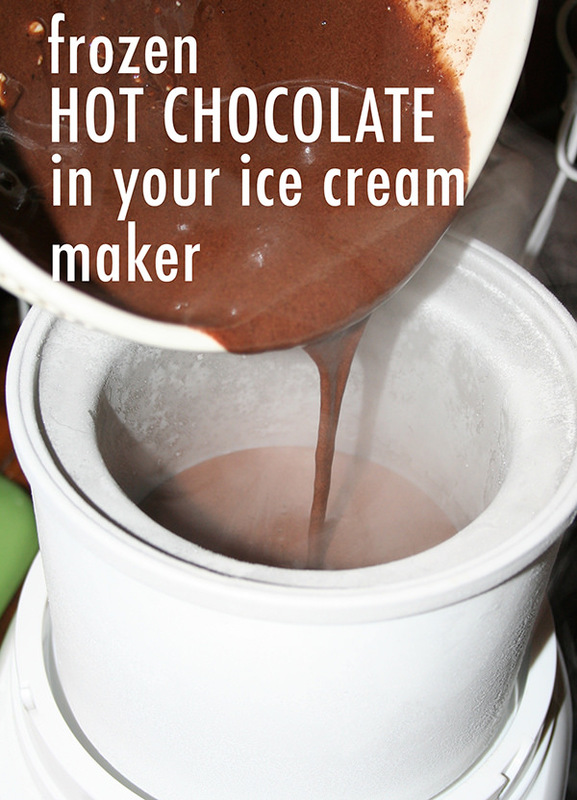 Strain the mixture if you prefer to have smoother frostings. Cool in refrigerator. Combine ingredients in a sauce pan and place over medium heat. Stir frequently until juices from berries boil. 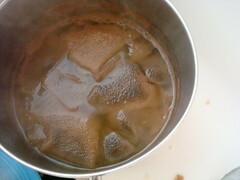 Let boil for 2 minutes to make sauce more dense. Cool in refrigerator. 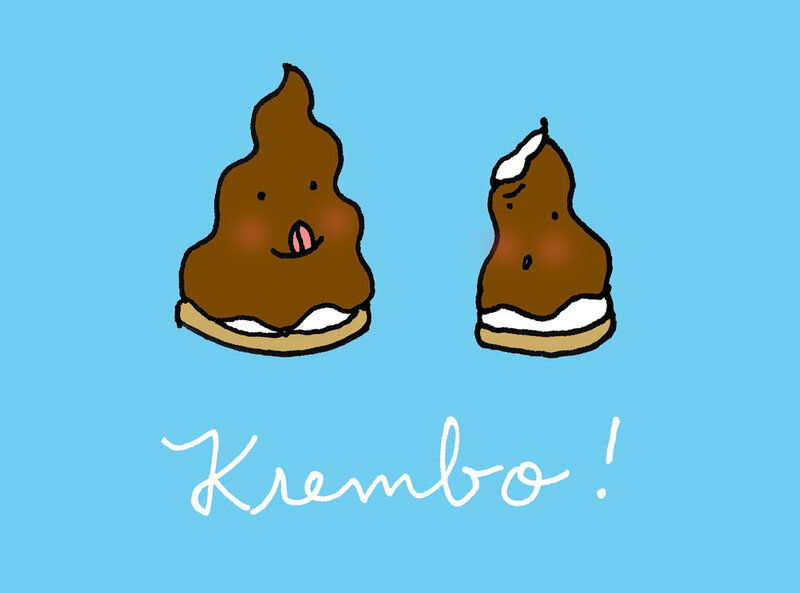 The next few are all from the same blog, Lil Cookie, because she has a strong mastery of KREMBO, yo! You down with OPP? Yeah you know ME! Allow me to clarify: when I say "OPP" I mean, of course, "other people's pudding". And I don't mean it as a euphemism. I literally mean that I am, in fact, down with making and eating other people's pudding recipes. 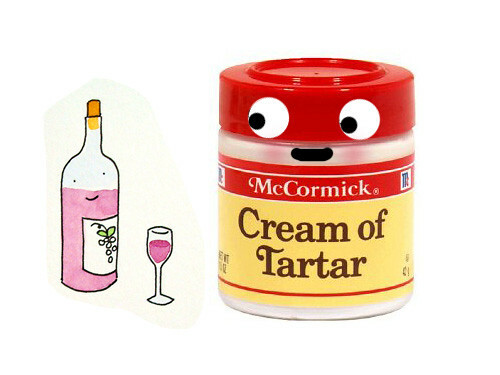 Case in point: this classic cornstarch pudding recipe. 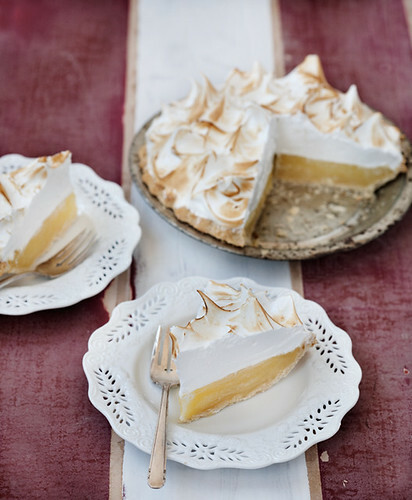 It's a reader's family recipe, originally from Edie Bliss. It shared with me, and I made it, and I want to share the recipe with you. Let me tell you how it went down. So, I have this Facebook page for CakeSpy, and one of my favorite things to do there is to ask people's opinions on various dessert-related things. 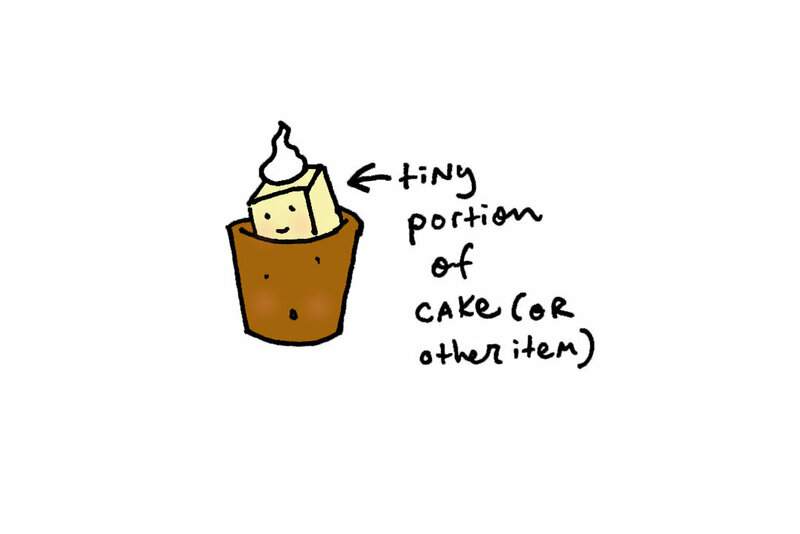 For instance, I might ask "what is your favorite cake to enjoy with cream cheese frosting?" or something along those lines. I love reading people's responses. If you like talking about stuff like that, definitely check out my Facebook page! On a recent crowd-sourcing conversation with readers, someone mentioned a unique pudding recipe in their family archives which includes vanilla, almond, AND lemon extracts. I was like "ooh!". Sure enough, not long later, that reader's daughter sent along the recipe! 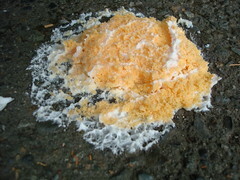 (title of the email I received: "Subject: My Mother's Pudding Recipe That You Were Interested In: Cornstarch Pudding"). 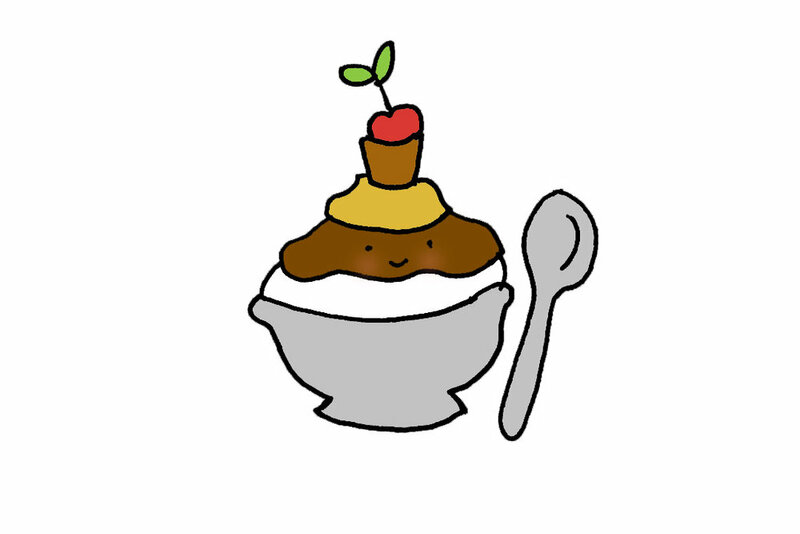 I made it yesterday, and I have to tell you, this pudding is very, very special. For one thing, it's crazy-easy to make. You need like, zero skills and five minutes, and you can make this pudding, and it is glorious. It is delicious and tastes like it took way more skill and time than it really did. For another thing, it's delicious. I love recipes with lemon, almond, OR vanilla extract, but I don't believe I have ever combined all three in one recipe. 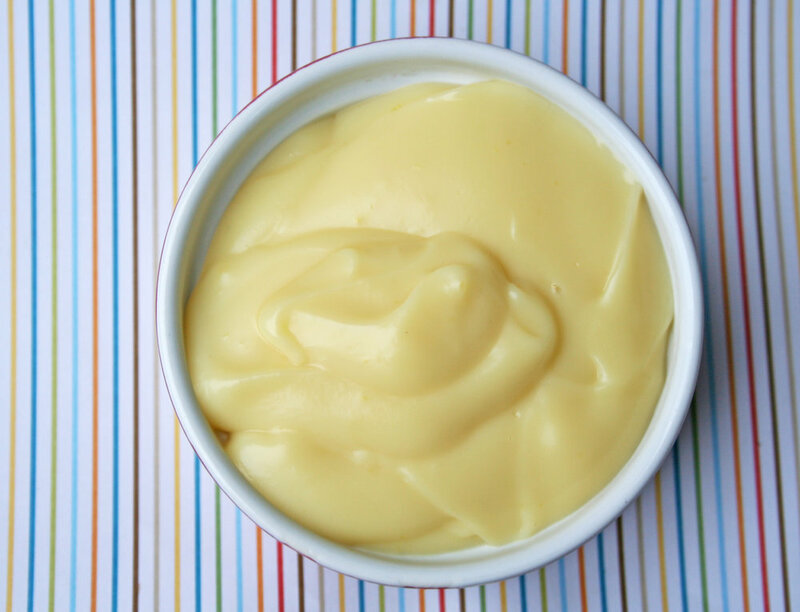 While the pudding looks like a standard vanilla pudding, it has a truly unique flavor which has echoes of almond and lemon and will truly intrigue your taste buds! Perhaps more importantly, I loved the intimate look that this recipe gave me into another family's traditions. Part of what makes foods so special is who you share them with, so for me, this was a beautiful way to interact with readers and see what type of food is part of their loving memories. It makes my heart sparkle, the very thought! In terms of eating: I loved this pudding still warm, but it's also great chilled. Thanks to Juli and Judi for sharing this recipe! It's a keeper, for sure. I'm keeping the recipe formatted just as it was sent! Mix these three together in a medium-size pan. Add to sugar mixture, and mix again. Add very gradually and stir well. 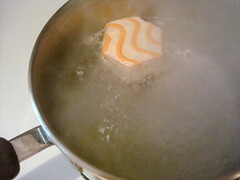 Cook until it bubbles. 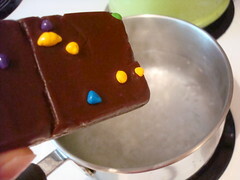 Remove pudding from heat and stir in. For chocolate pudding, add 4 ozs. 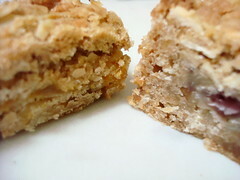 melted bitter chocolate and increase sugar by ¼ C. Omit almond and lemon extracts. 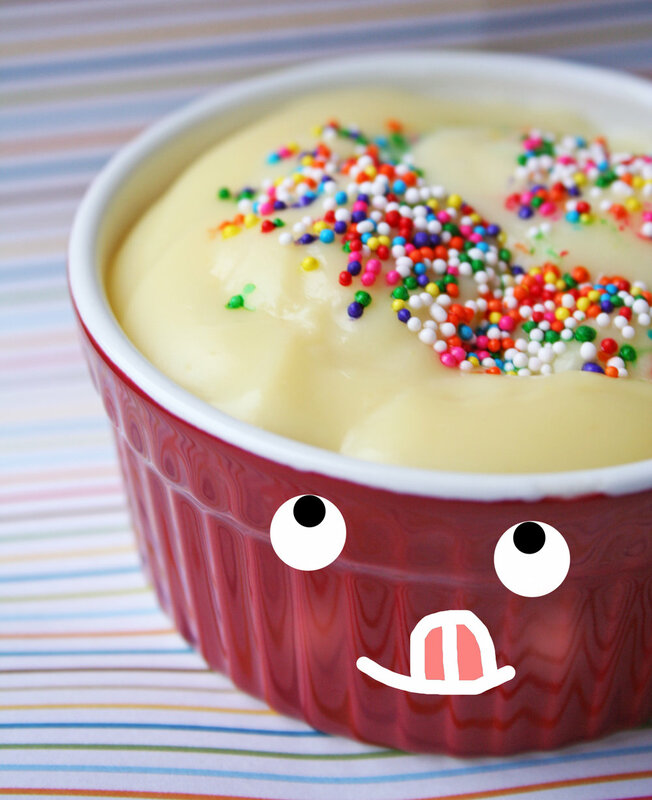 Do you have a favorite pudding recipe in your family?